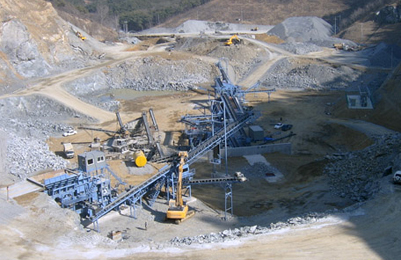 Vibrating Feeders (QH Series) are designed and built for the toughest work in various quarries or mines. 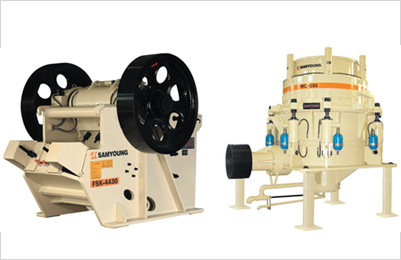 Vibrating feeder (QH Series) is designed particularly for continuous use with any hard and abrasive materials through uniform flow in crushing plant. 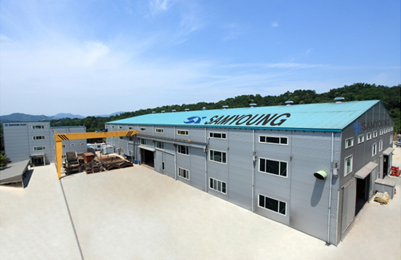 Vibrating feeders work to continuously and evenly feed lump, particle and powdered materials from hopper to jaw crusher, cone crusher, belt conveyer, bucket elevator, vibrating screen and crushing machines, etc. Variable Speed controller is available for vibrating feeder to automatically and centrally control the feeding volume. 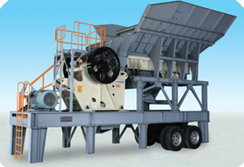 Vibrating Feeder (QH Series) can continuously and evenly send materials to crushers and roughly screen them. 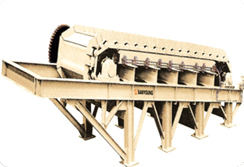 vibratory feeder matches crushing and screening machines in many areas, such as metallurgical industry, coal mining, mining-selecting, building, chemical and grinding industry, etc..
Vibrating feeder is simple structure and easy to adjust and to maintain. 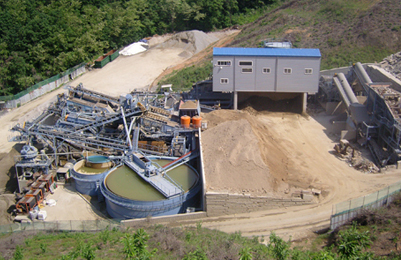 Vibrating feeder has various sizes up to more than 600 t/h capacity. 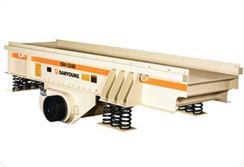 Vibrating feeder is designed for less noise and pollution. 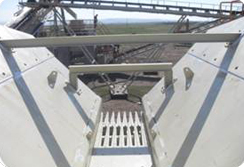 QV-Vibrating Grizzly feeder delivers a smooth, and controlled flow of oversized materials to the primary crusher to perform at maximum capacity. A heavy counter weight vibrating unit provides constant and powerful vibrating motion. 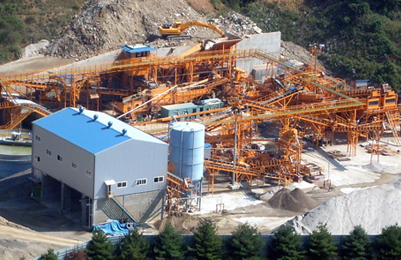 QH-type is suitable for feeding with scalping of gravel or quarries. Low Headroom, Quiet operation and accurate feeding are its big features with easy controlling of speed and amplitude. 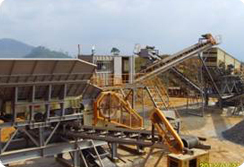 A rigid feeder with steel apron, particularly suitable for feeding ore to primary crusher. Sizes range from 600mm to 2000mm to in apron width.